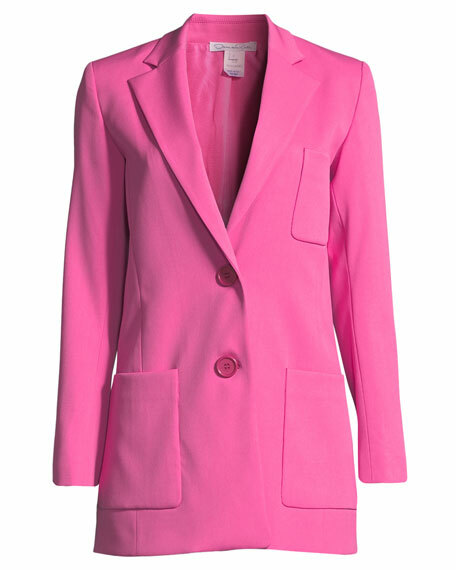 Oscar de la Renta wool blazer jacket. For in-store inquiries, use sku #2463802. 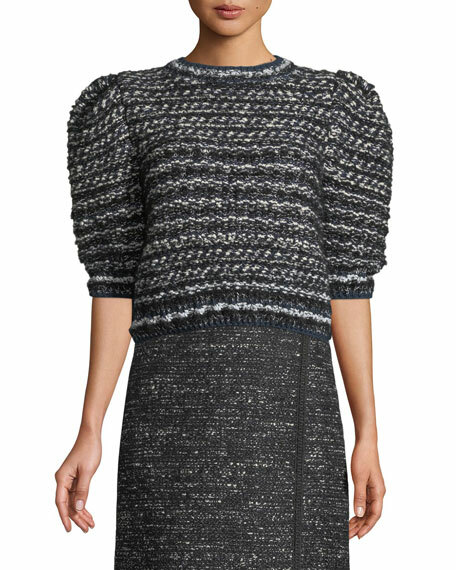 Adam Lippes hand-knit tweed sweater. Crew neckline; button/keyhole back. Short puff sleeves. Relaxed fit. Pullover style. Cropped length. Nylon/cotton/mohair/linen/silk. Made in Italy. 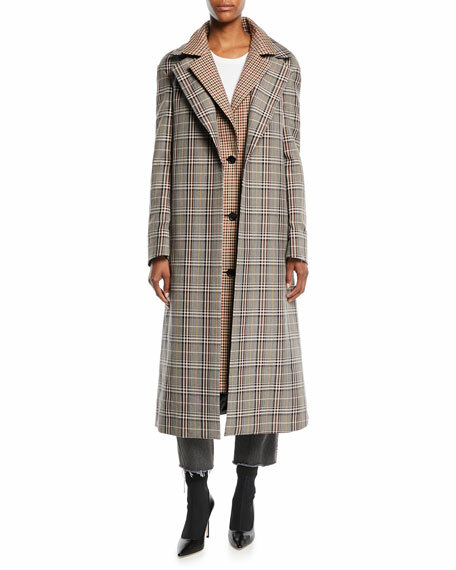 Monse double-layer coat with check & gingham plaid combo. Notched collars; button front. Long sleeves. Side slip pockets. A-line silhouette. Calf-length. Wool/polyester. Dry clean. Made in Italy. 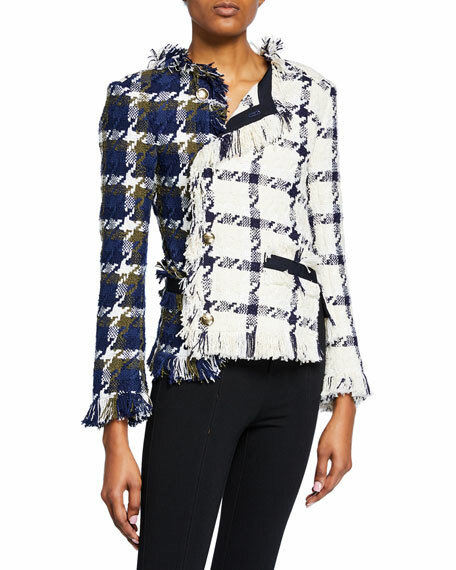 Monse jacket in two-tone tweed with frayed trim. 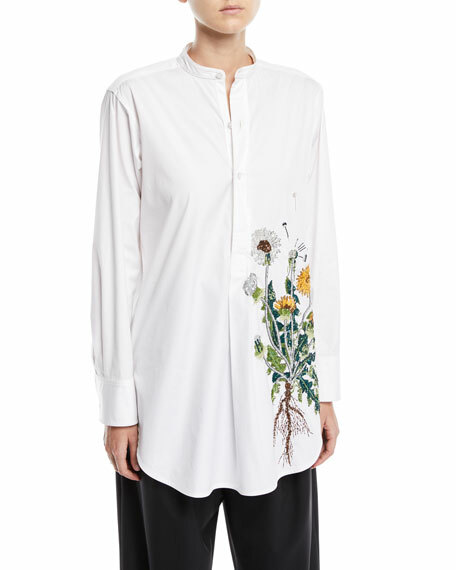 Crew neckline; asymmetric button front. Long sleeves. Semi-fitted. Frayed hem. 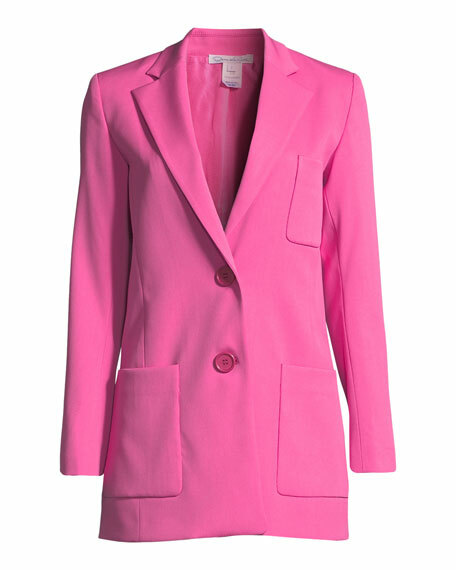 Cotton/viscose/virgin wool/nylon. Made in USA of imported material.